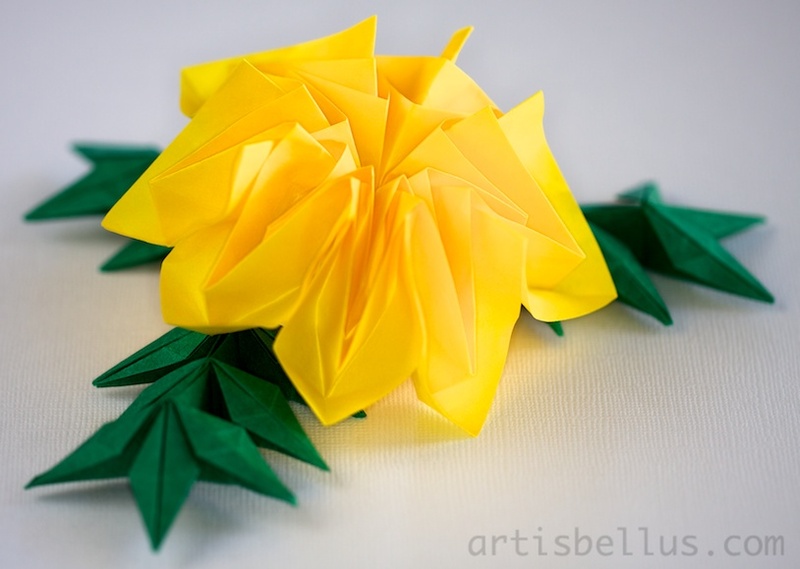 This beautiful origami Marigold is a Toshikazu Kawasaki's design. I always enjoy folding flowers, and the folding sequence of this one is particularly pleasing, and not very difficult. The diagrams can be found in the book, The Greatest Dream Origami, ISBN 9784255005058 (in Japanese). I folded the flower with and octagon cut from a 9" (225 mm) square of Pacon Paper , which is the same color on both sides. 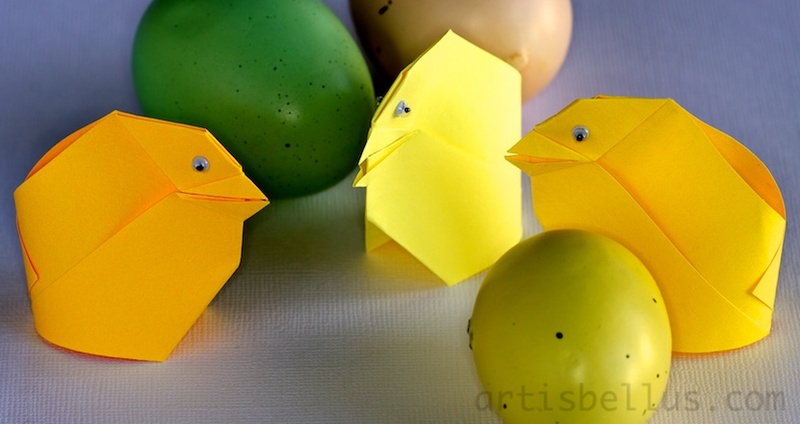 Each branch was folded with a 2 ¼" x 9" (56 mm x 225 mm) rectangle of the same paper. The Square Box - Lily is a modular box designed by Tomoko Fuse. The lid of the box can be folded with four lily modules, or with a combination of lily modules and plain modules, such as the one shown in the picture. 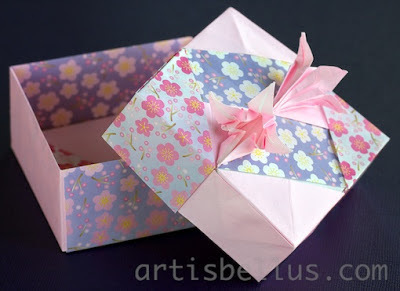 The instructions can be found in the book, Fabulous Origami Boxes , by Tomoko Fuse. I used a total of eight 6" (150 mm) squares of origami paper, 4 for the body and 4 for the lid. I chose a thin paper (no scrapbook paper this time) because the length of side of the square left to fold the lily is 3/8 of the length of the side of the paper (2 1/4" for a 6" paper), and it has many layers of paper in the quarter that is connected to the lid.